I had the absolute pleasure of working with Lauren and her team to create a classic, polished brand design that represents her personal style and stunning work. Lauren had some beautiful hand drawn sketches in her project notebook, and it seemed fitting to use one of her signature wreath illustrations in the logo. I wanted her clients to see the logo and immediately recognize her artistry and style. It was important to retain a lot of sophistication with this brand, while making sure the design fit seamlessly alongside images of her work. 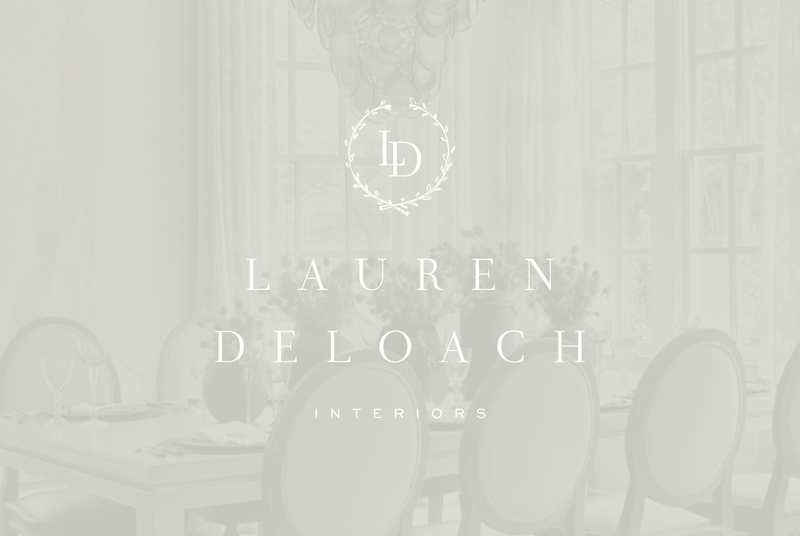 In other words, the branding needed to feel like Lauren’s rooms – traditional but fresh. The tagline we developed, “The well-designed life.”, speaks not only to Lauren’s design aesthetic but also to her drive to create beautiful spaces for day-to-day living. This was a total dream project from start to finish!